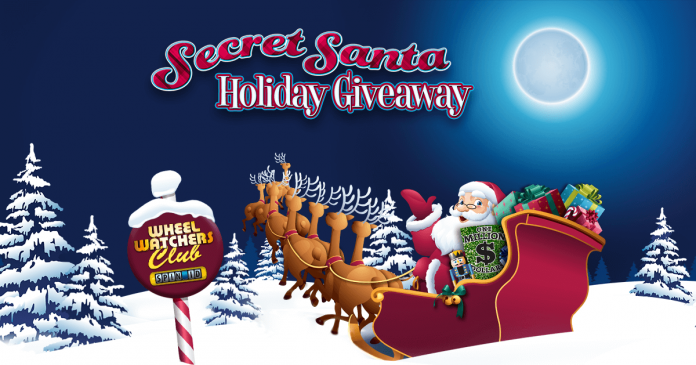 Think you have a winning SPIN ID number for the Wheel Of Fortune Secret Santa Sweepstakes? Starting on December 10th, watch Wheel of Fortune and if you see your SPIN ID appears on TV. You could win the same cash and prizes as a contestant during the Wheel Of Fortune Secret Santa Holiday Giveaway. Check our Wheel Of Fortune SPIN ID List to find out if you are a SPIN ID winner. The Wheel of Fortune Secret Santa 2018 Sweepstakes is an Holiday Giveaway sponsored by Quadra Productions, Inc. The Giveaway is open only to permanent legal residents of the 50 states of the U.S. and D.C., who are currently physically located and residing therein, who are 18 years of age or older as of November 19, 2017. Participants must also be registered and active Wheel Watchers Club members. The Sweepstakes begins at 11:59:59 p.m. PT on November 19, 2018, and ends at 11:59:59 p.m. PT on November 25, 2018. You can only register and participate in this Sweepstakes under one email address and one SPIN ID Number. If you are already a registered Wheel Watchers Club member, you can obtain your SPIN ID by logging into the Wheel Watchers Club website located at www.wheeloffortune.com using your Wheel Watchers Club email address and Password. If you are not a registered Wheel Watchers Club member, you can register by accessing the Website and following the online instructions to join. For the Sweepstakes drawing, 3 SPIN ID Numbers for each day (from Monday to Friday) of the Show Weeks will be randomly selected from all eligible SPIN ID Numbers at the time of the Registration Deadline. Each SPIN ID Number selected will be randomly assigned to one of the 3 contestants appearing in the respective episode of the Show and will be eligible to receive matching prizes won by said Show contestant. 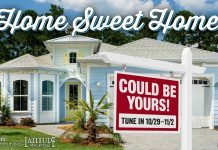 For complete details and official rules, visit www.wheeloffortune.com. how do I get A spin ID No. I need help. I can’t sign in but my name and ID was on last nite, Dec 14. Same names as last year. Heart is broken because of trust with Vanna-pat s. Nothing is real except death&pain. Cant get a number why ? Make sure you type everything in do not use the spellchecker or it won’the let you log on. How frustrating! Trying to get help with the password, but only get canned messages. I DON’T THINK ANYONE EVER SIGNS UP. IT IS A MADE UP GAME TO LET YOU THINK THAT THEY ARE GIVING AWAY ALL THAT MONEY. Can’t register won’t let me in. What’s going on No one seems to be able to sign up. Can not sign up will not let me change my password forgot the last one. I’ve tried several times to sign up for secret Santa can’t seem to do it what do I need to do? Won’t let me sign up????? ?it won’t let me reset password???? I can’t get in to sign up for secret Santa, help!!! Will not let me sign up for Secret Santa. I’ll try again later. Wont let me sign up 4 secrect santa why not?